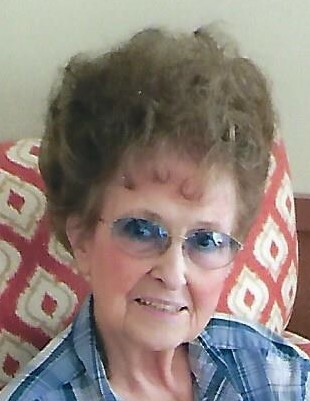 Joyce M. (Smith) Zimmerman, 89 of Hermantown, died Tuesday, April 2, 2019 at Keystone Bluffs Assisted Living Facility. Joyce was born on July 3, 1929 in Duluth, Minnesota to Emily and Walter Smith. She lived most of her life in Hermantown alongside her husband, Lyle. They were married for 71 years and raised their three children in the family home that Lyle built in 1956. Joyce worked many years as a telephone operator for Northwestern Bell and was also a switchboard operator at St. Mary’s Hospital. But her main passion was “doing hair,” first working as a cosmetologist at several area beauty shops and later, owning her own salon. Joyce was active in the Women’s Guild at St. James Catholic Church and was also a frequent visitor and friend to the St. Scholastica Priory. She had a love of music and played the drums and accordion. She also loved to bake and crochet. She was proceeded in death by her husband, parents, and her brother, Gary Smith. Joyce is survived by her children Joy Gallagher, Paul (Sybil), and Kay Lackner; grandchildren Shawn Gallagher, Eric (Kara) Zimmerman, Shannon Zimmerman, and Ashley Lackner; a great grandson, William Zimmerman, and a great granddaughter (due in May). The family would like to extend their sincere thank you to all of the wonderful and loving staff at Keystone Bluffs. Visitation will be Monday from 5-7pm in the Dougherty Funeral Home, where visitation will continue Tuesday at 10am until the 11am memorial service. Burial will take place at the Minnesota State Veterans Cemetery in Saginaw, MN. Arrangements by Dougherty Funeral Home, 600 E. 2nd Street in Duluth.